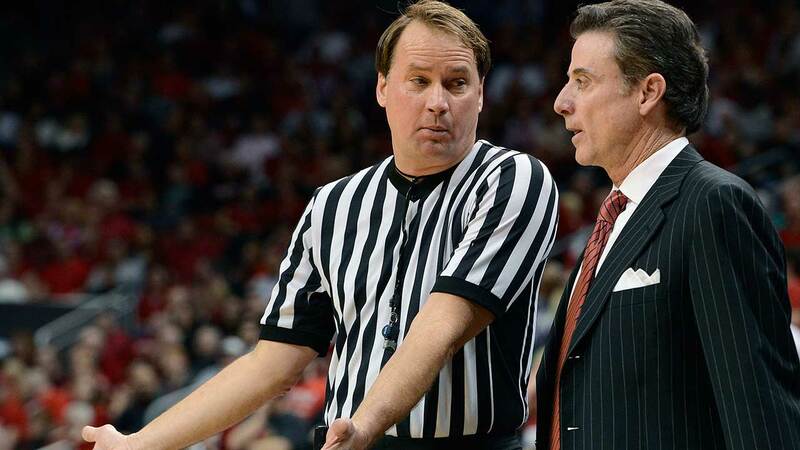 NCAA referee John Higgins met with law enforcement for more than two hours Tuesday after Kentucky fans sent death threats, repeatedly called his company's office and home -- despite an unlisted number -- and posted a barrage of false messages about his business on the company's Facebook page, sources told ESPN. Higgins worked Sunday's Elite Eight game between Kentucky and North Carolina, which the Tar Heels won 75-73 on Luke Maye's buzzer-beating jumper. The Wildcats were whistled for 19 fouls, including two each on Malik Monk, De'Aaron Fox and Bam Adebayo in the first half, a fact that Kentucky coach John Calipari didn't let go unnoticed. "You know, it's amazing that we were in that game where they practically fouled out my team," Calipari said. "Amazing that we had a chance." Kentucky fan websites and message boards identified Higgins as making incorrect calls against the Wildcats. Calipari's statements, message board chatter and their own fury prompted some Kentucky fans to write false and damaging messages on the Facebook site of Higgins' company, John Higgins Weatherguard Inc., as reported by several outlets Tuesday. Higgins declined to comment when reached by phone, but sources said the official will work the Final Four in Glendale, Arizona. Here's the non-stop coverage you can expect from ABC11 as the Final Four match-up approaches.